The bulls currently pictured on this page have all been sold. 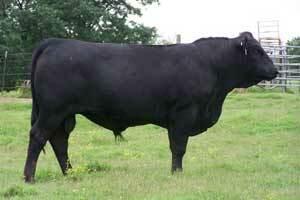 I left the pics to let potential buyers see the types and quality of bulls we usually have for sale. However, we do have a set of young purebred and LimFlex bulls coming on and some are ready for light service. If we do not have the bull you are looking for, I feel sure we can help you locate a bull that will fit your needs. Give us a call please! 444T is a really nice young herd sire prospect and is one of our first mature LimFlex bulls that was bred, born and raised at Circle H Ranch. He is sired by Connealy Lead On out of a top Baxter daughter and has an outstanding EPD package. 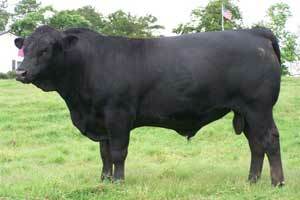 He should make a great bull for a purebred or commercial program. He is ready for service now. Here is a mature HB and HP bull out of JCL Lodestar and one of our top donors JCL Ebony Mist 76J. He is two years old and ready for heavy service now. Super thick and deep bodied, he should sire really good calves. 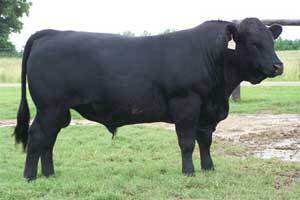 He could be your next herd sire. Here is a stout, big numbered bull we purchased from Sayer and Son in Ga. He is sired by COLE Sudden Impact 50S and out of a Cole First Down daughter. This young bull scanned a 17.4 REA and is ready for moderate service. This young bull is one of our first mature LimFlex bulls sired by our senior Angus herd sire OAK Bowery Alliance 723 and out of a EXLR Dakota 353 G daughter. The calves out of Oak Bowery have lived up to our expectations and have eye appeal as well as growth. This bull is no exception to that. Another LimFlex bull out of Oak Bowery Alliance 723 and out of a 3/4 sister to JCL Baxter. This young bull would be a great choice on heifers. Come take a look at him. Sired by EXLR Excellante 251 L and out of one of our best young cows this young bull has a pedigree filled with outstanding HB HP genetics. His dam is a Lodestar out of a Baxter daughter which gives him three top HB HP sires in this breed in his bloodlines. He has a very balanced EPD package and is ready to go to work now. 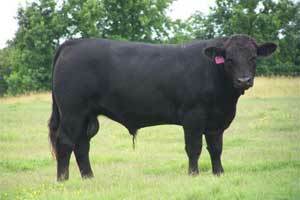 Let this young bull be your next herd sire. better somewhere else that is fine. We would simply like a chance to do business with you. I feel confident that you will be happy with what you see at Circle H Ranch. Homo Polled as well. 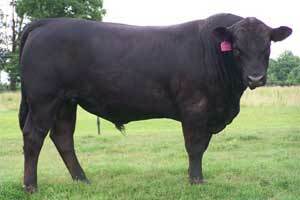 I urge you to at least look at these bulls before you decide to buy your next herd sire. I think you will find a bull that you like in this group. We have a few select Top Quality replacement heifers that should make really nice cows. 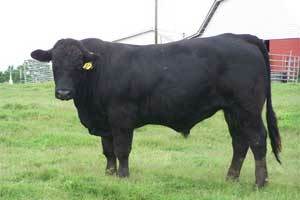 heifers are homozygous black. Please call us for information on any of these heifers. A special THANK YOU to Cameron Edge for purchasing a DB DP herd sire from our program. A special THANK YOU to Chase Shirley and also Patrick Shirley for purchasing several Top Quality Embryos from our Program. A special "Thank You" to O'Neal Limousin in Branch, AR for purchasing three HB HP heifers from our program. A special "Thank You" to Steve Revell of Circle R Ranch in Jacksonville, Ga. for purchasing our last year's show heifer and another top HB HP heifer. HB HP bull and 5 HB heifers from my program. A special "Thank You" to Coosa River Cattle Company, Patrick Shirley, of Cropwell, Alabama for your recent purchase of a HB HP Lodestar son from my program. A special "Thank You" to Counsil Family Limousin for your purchase of Circle H Ranch and Howard Bros. heifer pregnancy consignment at THE SALE in Louisville. A special "Thank You" to Prichard Farms in Brush Creek, TN for purchasing 15 females from my program. A special "Thank You" to 4-K Limousin in Mt. Vernon, TX for purchasing 6 bred heifers from my program. We have other bulls sired by JCL Baxter, DVFC Laramie, GSAC Black Horizon, EXLR New Generation, JCL Black Okie, JCL Black Monster, RADS Black Prodigy and others. We currently have heifers sired by JCL Baxter, DVFC Laramie, AUTO Black Smoke, AUTO Black Dakota, JCL Lodestar, WRC Punch, COLE Wulf Hunt, EXLR Intrigue and others. Visitors always welcome at the ranch. Copyright © 2012 Cattle Today, Inc.